At Tilstock we offer before and after school care from 8:00am until 8:45am and then 3:15pm until 5:45pm every day*. Daily Breakfast Club (available every day Mon-Fri): 8:00am until 8:45am – £2.50 (this includes breakfast if required). 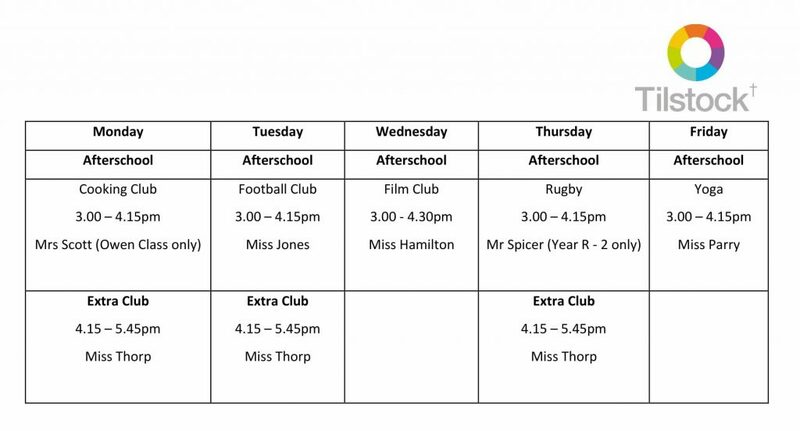 *a minimum of 4 pupils are required for the club either before or after school to go ahead.